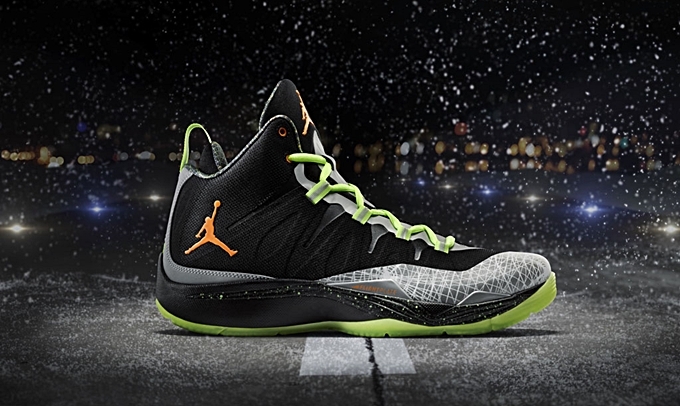 As expected, Jordan Brand is set to make waves in the final days of 2013 with their impressive lineup of eye-catching shoes. Before Christmas Day, JB fans should check out the latest edition of the Jordan Super.Fly 2 that is dubbed as “Flight Before Christmas” version. This edition, which is included in JB’s 2013 Christmas Pack, features a black-based upper part accented with orange and reflect silver hints along with a unique flight map pattern. This shoe, which is officially listed as the Black/Total Orange-Reflect Silver colorway, will be released on December 24th and will retail at $160 per pair. Don’t dare miss this excellent release!